The split-level space at 70 Roosevelt Highway in Colchester was long known as Noah’s Ark Pet Center & Center. More recently, it was a dollar store. Now, the large storefront that shares a building with bevo is undergoing major renovations to become Vermont’s first large-scale Arabic market. Iraq native Wisam Altameemi has lived in Vermont for three years. Though he says, “Vermont is my country now,” he adds that he finds food expensive and prefers not to have to travel to big cities for his native flavors. He plans to change that by opening Arabic Market. 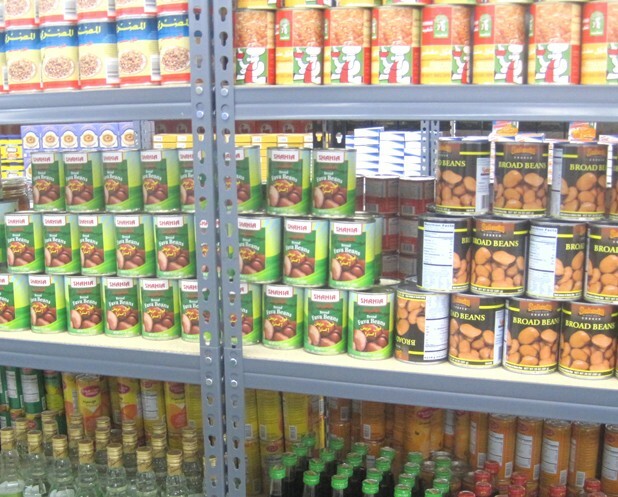 The store recently received its first shipment of Middle Eastern nonperishables, Altameemi says. Hard-to-find ingredients already on the shelves include dried mallow — popular in Egyptian soups — date vinegar and fig preserves. Altameemi also stocks a large range of housewares, from curtains and sheets to sparkly sculptures of both Muslim and Christian icons. A large meat case lies waiting to be filled with halal flesh. Fruits and vegetables will also be available, and Altameemi says he’ll have regular door-buster sales, such as 10 lemons for $1. He adds that his prices will generally be 70 to 80 percent lower than those of local grocery stores. “I think we can close Shaw’s,” jokes Altameemi’s right-hand man and the market’s chef, Loay Alkhafaji, referring to the supermarket up the road. An idle threat? Alkhafaji, an Iraq native who recently came to Vermont, says that in Michigan, where he previously lived, it’s not uncommon for big American markets to shutter when a low-cost Arabic one opens nearby. “Always the best customers I have are American,” says Alkhafaji, who has also run a restaurant in Memphis. The chef will be doing similar work in Colchester. The downstairs section of the building is being converted into a restaurant, complete with a spit for shawarma, a tandoor for baking Iraqi bread and a giant aquarium. The last will be filled with fish that customers can choose and have cooked on the spot or bring home to prepare themselves. Everyday menu items will also include beef, chicken and lamb kebabs; shish taouk; hummus; and salads such as tabbouleh and fattoush. Alkhafaji’s specialty is whole roasted lamb stuffed with rice and raisins. He hopes the restaurant proves popular enough to serve Iraqi breakfast dishes, making three meals a day of exotic delicacies. Alkhafaji and Altameemi plan to open the store within two weeks, but full approval for the restaurant is likely to take until January. Its first day is sure to be a busy one: The chef plans to offer free sandwiches to all customers. The original print version of this article was headlined "Spice Route"